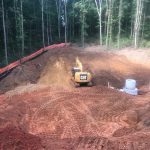 DuSouth is a full service surveying and engineering firm, providing land surveying, civil surveying, and site work services to the state of Georgia. 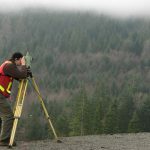 We pride ourselves on providing exceptional services to each of our clients across a variety of industries and have become the leader in surveying in communities across the state. By using the latest and most advanced GPS technologies, we are able to provide services to our clients that other companies simply can’t. 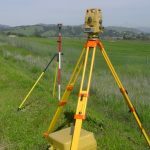 Our team of expert surveyors is lead by Jerry Wood, a registered land surveyor with the State of Georgia and a graduate from Southern Polytechnic State College. Jerry provides years of experience to the DuSouth team having performed many boundary surveys, topographical surveys, construction staking, final plat, and as as-built surveys. Brian Wood, another one of of our registered professional engineers, graduated from University of Georgia College of Engineering and brings over 18 years of Civil Design and Municipal Management experience to our team. Click here for more civil engineering information! 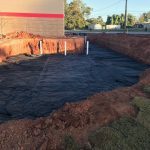 Site work is an incredibly important part of the finishing touches that are necessary to complete a project. 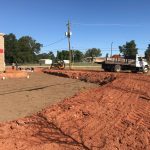 Although site work is not part of the physical structure of the building or home itself, it can include grading, landscaping, and foundation preparation. For many projects, site work can turn out to be expensive and complicated. 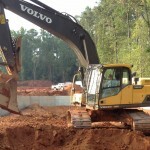 When preparing the foundation and landscaping for construction, problems can arise that were not planned for. Don’t let these issues ruin your project! Our team of experienced site work professionals can also help with utility installation such as water, electricity or gas. 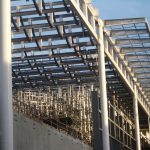 We take the stress of these tasks off your hands by handling the process for you, no matter if the installation is for a large commercial projects or a simple personal home installation.